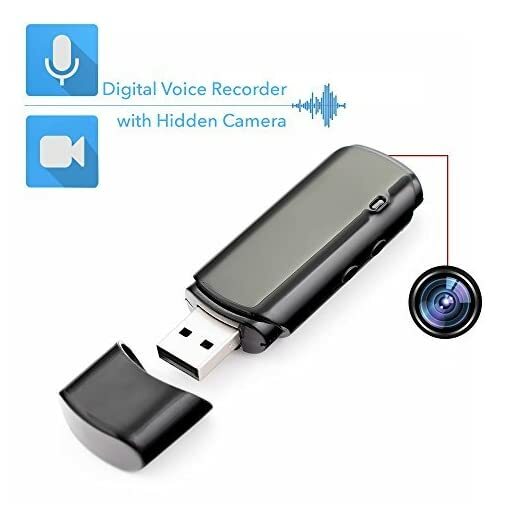 Mini Voice Recorder disguised in USB Memory Stick; 25 Hours Rechargeable Battery for Continuous Audio Recordings; Hidden Spy Camera - 1.5mm Lens; Selectable modes: Audio-Video or only Audio Recording - Smart Multifunctional Spy Gadget | The Best Spy Tech Store Online! AUDIO AND VIDEO RECORDING: The mini digital Dictaphone has the capacity to store up to 25 hours of continuous recording time in audio mode at 128 kbps and 5 hours battery in Audio Video recording mode at 720X480 resolution. 3 in 1 SMART SPY GADGET: Mini Digital HQ Sound Recorder with 1.5 mm lens hidden camera & USB Flash Drive. 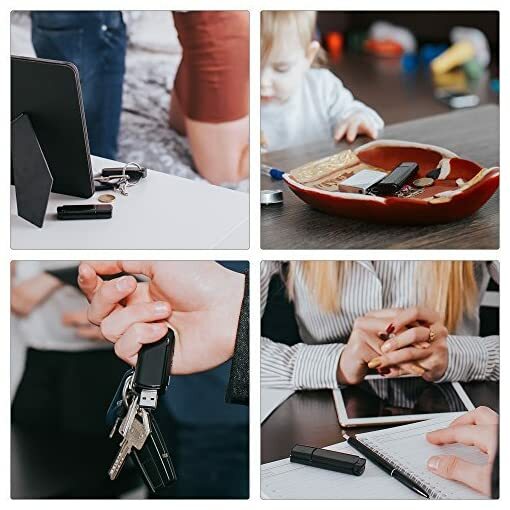 Fits in any pocket or purse, easy to carry or hide. Dimensions: 74x26x12mm, only 20g weight. Works on Windows and Mac – instructions included. UPGRADED TECHNOLOGY: MIC-FD25 is engineered with a combination of features not found in any other portable covert recording device: only 1.5 mm lens camera, 2 selectable working modes and rechargeable polymer battery (300mAh) built-in. Supports up to 32GB of Micro-SD storage (not included). PROBABLY THE MOST COMPLETE SPY FLASH DRIVE EVER BUILT! 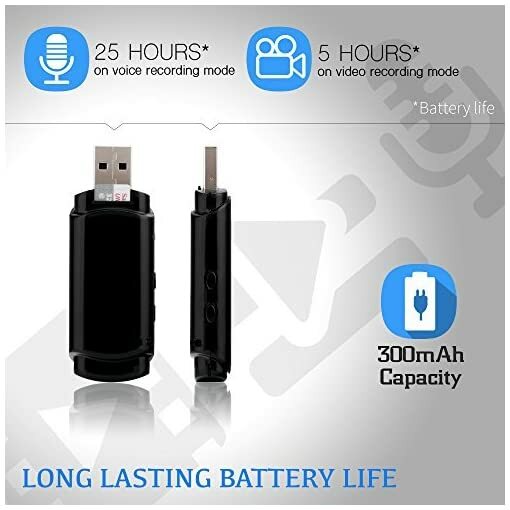 MIC-FD25 uses a combination of features not found in any other portable covert recording device: only 1.5 mm lens, 2 selectable working modes and the BEST rechargeable battery built-in (25 hours in audio mode – 5 hours audio&video mode). Biggest advantage of MIC-FD25 drive is that you can choose between two distinctive functions: you can only record audio at 128kbps WAV quality or you can take audio&video at 720×480 resolutions with bright and clear colors. MIC-FD25 spy cam looks and functions just like a normal USB Flash Drive but it also has a built-in hidden camera and supports a micro-sd Card up to 32GB. 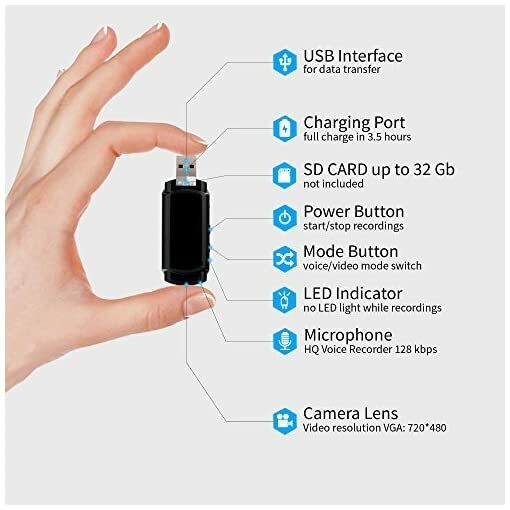 Amazingly simple charging and easy to use: just plug into the USB port of your computer for 3 hours. No software installation. No cables. Works on Windows and Mac OS. 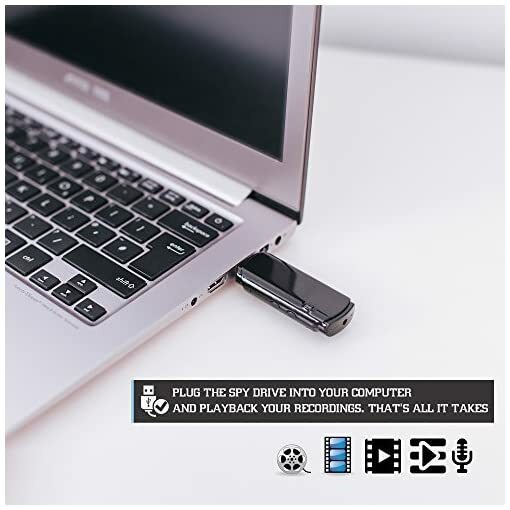 Simply record your footage, plug the spy drive into your computer and review it. 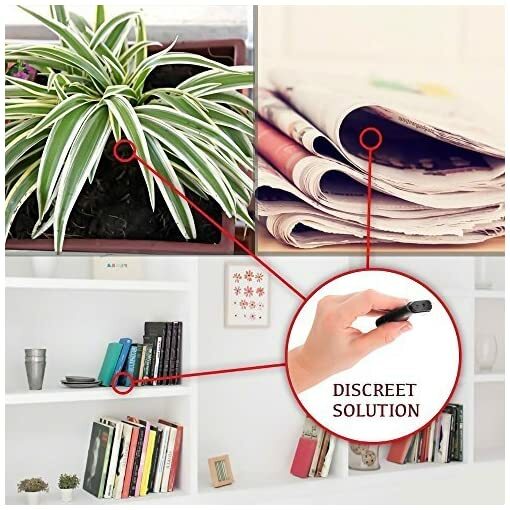 EASY ONE TOUCH OPERATION with no confusing Lights or Beeps. 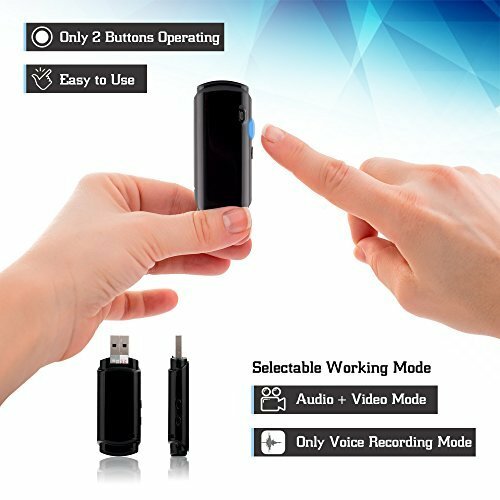 Only 2 buttons to set up the operating mode: audio + video or only voice recording mode. 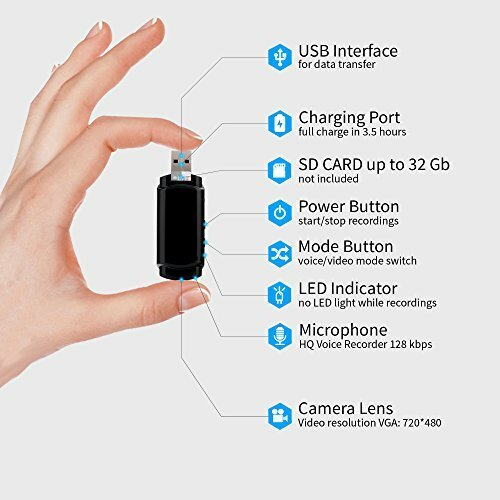 Also works as a regular USB thumb drive to store all your music, data and of course, all your recordings. 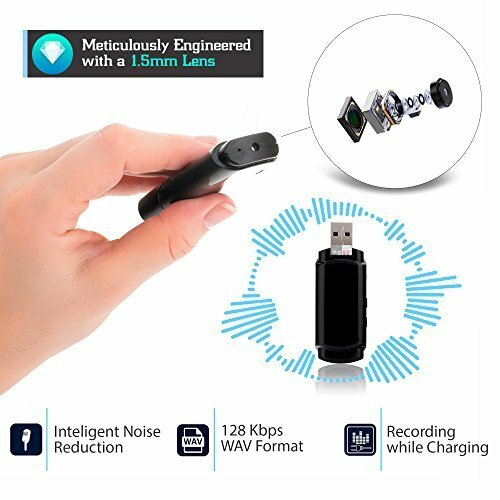 No need to be plugged into a computer to record. SATISFACTION GUARANTEED – Just plug&play. No software installation. No cables. YOUTUBE TUTORIAL available with all instructions included! 24 months warranty!